Visit us at Ramsey Solutions in Nashville­! If you are a fan of the show, Hogan’s producer, DW, wants to meet with you and hear your story. It doesn’t matter where you are on your journey to your high-definition dreams. DW wants to learn how you heard about us, hear your questions for Hogan, and get feedback about the show! If you ask for DW at the front desk and he’s in town, he'll want to come see you! We are celebrating our Facebook Group in this episode and taking their questions on things like annuities, raises, saving, investing for retirement, bonds and net worth. We are so proud of our online community that we want to cheer them on and highlight some of their shared wins! +Marianne hit $150K in her retirement account two weeks before her 40th birthday. + Carol and her husband are debt free. They paid off the house, and they are starting Baby Step 7. + Darren has been debt-free for 10 years! + Amy and her husband paid off their mortgage. + Pam is convincing her husband to pay off the mortgage. + Tony is moving onto Baby Step 6! VIPs, get clear with an investment professional on making your investments provide growth. It’s an important way for you to take advantage of investing VIPs. Heather, a show caller, is a good example of a VIP who has decided to assume less and ask more. She asks Hogan: “My husband has an option for an after-tax account. We’d like to contribute to it due to the company match. Is there a difference between this account and a ROTH?" VIPs, don’t just ask Hogan, ask an investment professional Hogan trusts. Don’t assume you understand your company match. Ask a ton of questions. It’s an important way for you to take advantage of investing VIPs. Come to Nashville to visit us at Ramsey Solutions! If you’re a fan of the show, Hogan’s producer, DW, wants to meet with you and hear your story. And it doesn’t matter where you are on the journey to your high-definition dreams. DW wants to learn how you heard about us, hear your questions for Hogan, and get feedback about the show. Ask for DW at the front desk—if he’s in town, he'll want to come meet you! In Everyday Millionaires, I’ll show you how ordinary people built extraordinary wealth—and how you can too. Buy now and get over $50 in FREE bonus items! Want to help others win with money? Become a Financial Peace University coordinator and lead a group in your community. It’s fun, it’s easy to do, and all you need is a heart for helping others. The leadership materials are normally $229, but we have a special deal for everyone listening to the show. You can get $100 off by texting HOGAN100 to 33789. Get started today! We want to talk to YOU! Call us with your success stories or questions about money. Leave us a voicemail at 844.283.9383 or email us at ask@chrishogan360.com. Listeners, don’t miss next week’s episode! Chris will share the biggest announcement since his podcast launched! In this episode of the podcast, Chris Hogan teaches listeners how to enjoy their lives without blowing their financial plans. He also talks with callers about: 457 plans; age and choosing the Roth option for investments; life insurance; budgeting wisely; and long-term care. See Chris Hogan live at a Smart Money event near you. Use code PODCAST10 to save $10! Go to https://goo.gl/i4W9rS. Do you have investing questions? Go to chrishogan360.com/INVEST to find a pro who can help you. In this episode of the podcast, Chris Hogan answers several questions from callers: Should I stop investing to pay for a house? Am I spreading my finances too thin by following the Baby Steps? Should I self-insure instead of buying long-term care insurance? How do I help millennials have a vision for retirement? How do I draw money out of an investing account without touching the principal? Plus, Chris shares an everyday millionaire success story. He also discusses an article about a 96-year-old legal secretary who quietly amassed more than $9 million and left the bulk of it to needy students after her death. In this podcast episode, Hogan discusses Employee Wellbeing Month and the importance of financial wellness. He also highlights an article about women taking control of their retirement. Callers in this episode ask questions on a variety of topics including: calculating monthly retirement expenses; rolling a 401(k) over into an IRA after a job change; loss of money fears; wills and trusts. Plus, Chris shares an everyday millionaire success story. #54: Paying for College – Should You Save For Your Kids? Join in on the Retire Inspired Podcast as Chris talks about how much parents should pay for their kids’ college. He gives listeners seven tips to help them navigate this confusing and overwhelming topic. Talk to your kids about their life plans and how college may or may not be a part of the equation. Start early. Start saving when your kids are young. Waiting until their junior or senior year of high school will not give you adequate time to save. If you’re late to the game, don’t give up! Have your kids research scholarships and grants and apply for every money source they can (except loans). This researching and applying should be your kids’ part-time job in their high school years. Check out the options for paying for college. A community college is an excellent option to knock out the basics. Know the real deal about getting a degree from an expensive college. Consider the options with your kids: they could work part time; work full time and go to school at night; work full time to save up cash to go to school full time; join the armed forces and utilize their tuition assistance program. Be creative with additional expenses. Find ways to save on books, living expenses, meal plans, etc. In addition to his discussion about paying for college, Hogan talks about an alarming article on student loan debt among Americans who are 50 and older. He also talks with callers about a variety of topics: asset allocations and investing; how to prepare for a new baby; paying off your mortgage early; long-term care insurance; and helping parents prepare for retirement. Plus, he gets to hear from an everyday millionaire about her success story. On this episode of the Retire Inspired podcast, Chris Hogan shares his personal investment strategy, including the four types of funds he prefers. He also helps his listeners take investing to the next level and offers seven action points to follow. Decide to chase your dreams. Use the right ingredients to reach your dreams. Identify the threats to your dreams. Hogan also answers questions regarding Roth IRAs, backdoor Roth IRAs, funding a grandchild’s education, and the importance of paying off your mortgage early. As a bonus, listeners will hear from Amy, an everyday millionaire who shares her perspective about time and money. For Hogan’s ROTH IRA Starter Guide, just text ROTH to 33789. Discover your R:IQ. Know how much money you need for your retirement dreams. Do you have investing questions? Go to chrishogan360.com/INVEST to find a pro in your area who can speak to your specific situation. #50: Will Social Security Run Out? Wake-Up Call: John is 28 years old and on Baby Step 4. He wants to know if he should change his investing options. Deep Dive—Seven Myths About Investing: Do you know anyone who believes they don’t need help with investing? Hogan knocks down that myth along with six others that could keep you from maximizing your retirement savings. Wake-Up Call: Deborah is considering taking retirement at 65, but she needs clarification on her 401(k) and taking Social Security. Millionaire Moment: Meet John, whose net worth has topped $1.6 million. Wake-Up Call: Shannon has a question about life insurance. Deep Dive: Hogan covers seven action points to create a new you in 2018. Wake-Up Call: Adam asks how to approach a financial conversation with his mother who is disabled. #41: You - YES YOU - Can Become A Millionaire! What’s getting in the way of your retirement dreams? Hogan shares four retirement obstacles and other insights from his book Retire Inspired: It’s Not an Age; It’s a Financial Number. Also featured in this episode: Hear From the People; Eight Keys That Unlock Your Future; and a new Millionaire Moment. Don’t forget to order your copy of Hogan’s book Retire Inspired: It’s Not an Age; It’s a Financial Number. A woman shares that she is trying to pick up extra income for her retirement but she’s feeling discouraged (@12:04). An event attendee asks where she should put her money to invest while trying to save for a down payment on a house (@17:51). 20:35—DO YOU HAVE INVESTING QUESTIONS? Hogan talks to Veronica about retirement and downsizing after a personal loss. Meet Tom. He’s a self-made millionaire and has a net worth of almost $2 million. Know your future number now! Get your R:IQ. Who’s in charge of your future? It’s time for you to grab the wheel! You are the CEO of your retirement. Chris Hogan shares insights on this from his book Retire Inspired. Also featured in this episode are the segments Hear From the People and The Takeaway. Don’t forget to order your copy of Hogan’s book, Retire Inspired: It’s Not an Age; It’s a Financial Number. Email your questions to podcast@chrishogan360.com. You can also call us with your questions! Leave a voicemail at 844.283.9383. Do you know your Retire Inspired Quotient? Discover your number. Get your R:IQ. Hogan takes to the phones and shares insights with several callers as well as answers their questions. Why? Because this podcast is an ongoing conversation about the pursuit of your retirement dreams. VIP Mike has a question for Chris about investing, saving and paying off debt. Do you have investing questions? Click here for help. VIP Sam, a 25-year-old, has a question about Social Security for his mother. VIP Tom has a question about the R:IQ and pensions. Know your future number now VIPs: Get your R:IQ. VIP Dennis, a newlywed, wants to know about term life insurance versus whole life insurance and investing while working through the Baby Steps. Share your questions with Hogan! Email at podcast@chrishogan360.com or leave a voicemail at 844.283.9383. For more information and inspiration, join Hogan at a Smart Money event near you. Share your questions with Hogan! Email podcast@chrishogan360.com or call 844.283.9383. Create an event or experience around important landmarks. Mark those experiences with pictures and/or writing. Revisit those images and words so you can look back and remember. Chase, a Hogan VIP, wrote a letter to debt and sent it to Hogan to read in his signature voice. This was the second episode of a two-part series. Don’t forget to listen to Episode 36 if you missed it. In the second episode of a two-part series, Hogan shares more insights from the DISC personality assessment as it relates to your relationship with your significant other. Hogan also concludes his conversation with Dr. Les Parrott, marriage and relationship expert, about how getting in sync with your spouse. Also featured in this episode are the segments Hear from the People and Millionaire Moment. Listen to what your spouse says and how they say it. Deliver your thoughts in a way your spouse can best receive the information. Find common ground on how to reach those goals. Keep communicating, even when you hit roadblocks. A woman asks a mortgage question regarding selling versus foreclosure (@32:42). A man wants to retire from the military soon and wants advice on priorities (@35:43). Meet Tamara, self-made millionaire whose net worth has reached $1.5 million. Your journey to reach millionaire status starts here! If you missed Part 1 of the conversation with Dr. Les Parrott, download Episode 33 of the Retire Inspired podcast. Your personality and your relationships affect your financial future. In the first of two episodes, Hogan shares insights about the DISC profile and the different personality styles. Hogan also talks with Dr. Les Parrott, marriage and relationship expert, about getting in sync with your significant other about finances. Also featured in this episode: a Story Spotlight about a couple in Colorado who paid off their home; and a Millionaire Moment. Hogan talks with Dr. Parrott about getting in sync with your significant other about your financial future. They discuss communication, empathy and more. Hogan shares a story about Bill and Patti, a Colorado couple who accelerated their financial future by paying off their home. Plus, they found opportunity and fun along the way! For more on Bill and Patti’s story, go to The Dave Ramsey Show YouTube channel. Meet self-made millionaire Rachel, whose net worth has reached $3 million. Don’t miss the next Retire Inspired Podcast releasing on August 30: Understand Yourself, Improve Your Marriage—Part 2. Hogan will wrap up his discussion about the DISC and conclude his conversation with Dr. Les Parrott. Have you taken the R:IQ assessment? It is a free retirement planning tool available on chrishogan360.com. No one defines retirement for you. It’s up to you. Hogan shares five negative reasons you might not retire, but he shares five positive reasons, too! 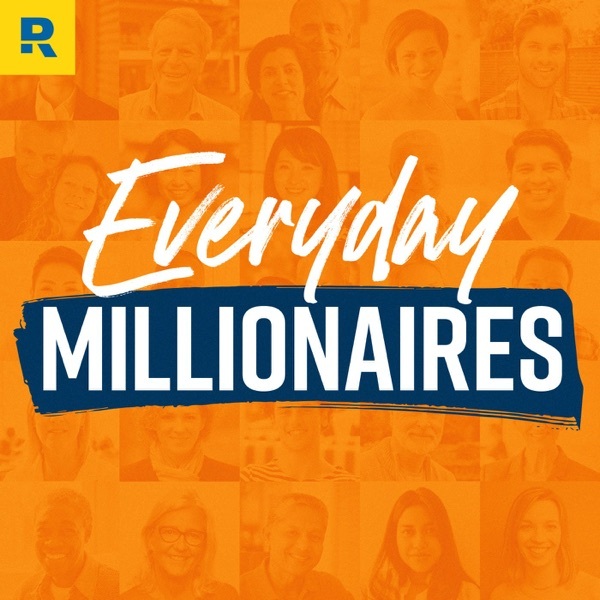 Also featured in this episode: Hear From the People; The Takeaway (Futures Under Construction); and a new Millionaire Moment. You funded your kid’s education instead of your retirement. You let lifestyle dictate your spending. You thought Social Security would be enough. You borrowed from your 401(k). You let debt hang around. You enjoy the challenge of working. You need the social interaction. You want to stay mentally and physically healthy. You decide to try an encore (second) career. When Hogan’s son Case was diagnosed with Hunter Syndrome at age 2, the family decided to fight. The degenerative disease affects a person’s ability to walk, talk, eat and think. The average lifespan of someone with the disease is in the teens. If you want to learn more, watch the new docuseries about families (including the Hogans) facing Hunter Syndrome. Go to Projectalive.org. Remember to subscribe to the podcast and then share it! No one can promote our podcast better than you. Your friends and family can find the podcast online at chrishogan360.com or through the following mobile apps: Apple Podcasts, GooglePlay, or Stitcher. Email us the financial jargon you want Professor Hogan to define for the everyday investor. We would also love for you to send us your personal halftime speeches and retirement poems you want Hogan to read. Email us at podcast@chrishogan360.com. Hogan talks with self-made millionaires Mina and Irfan, whose net worth is currently $1.4 million. Do you want to reach that million-dollar milestone? Click here for help. The podcast is a year old and we’re just getting started! This episode features Hogan’s 6-Point-Plan so you can get un-stuck and start moving forward. To celebrate the podcast’s anniversary, this episode includes a special segment, “Voices of our Community.” Also featured in this episode are The Takeaway (Financial Farming), and Wake Up Calls. Many of our VIPs at a recent conference wanted to share their retirement dreams and give personal messages to Hogan about the podcast. Remember to share the podcast and subscribe! Your friends and family can find the podcast on chrishogan360.com or the following mobile apps: Apple Podcasts, GooglePlay, or Stitcher. Email us the financial jargon you want Professor Hogan to define. We would also love for you to email us halftime speeches and retirement poems you want Hogan to read. Send them to podcast@chrishogan360.com. Do you want to be a self-made millionaire? You need a plan! (41:47) Click here for help. Hogan wants to invite you to be a part of his rapidly growing online community. Go on Facebook and search: Hogan’s Retirement Challenge and sign up to join. Have you done your R:IQ? The Retire Inspired Quotient is a free online retirement calculator. Go to https://www.chrishogan360.com/riq/. Who doesn’t want extra money? In this episode, Hogan reminds you to go after it! He shares his thoughts on how to find extra retirement money. He also wants you to use your talents to make extra money to reach your financial goals. To discuss that, speaker and author Christy Wright stops by to talk. Her new book, Business Boutique, is the definitive book on equipping women to make money doing what they love. Also featured in this episode are The Takeaway: The Big Bad Wolf; Hear From the People; and Millionaire Moment. Assess where you are. What financial goal do you want to meet? Acknowledge your opportunities. What can you do to make extra money? Activate your plan of action. What needs to happen so you can take advantage of your opportunity? Don’t judge the ideas; just list them. Rank them. Search online to find out where you can do that job. Hogan answers a question about mortgage debt, Roth investing options, and mutual funds (@31:36). Hogan answers a question from a debt-free listener whose parents have no retirement savings (@35:31). Hogan talks about how the children’s story The Three Pigs can teach adults important retirement principles. Get the right tools. Build now. Share your story. Hogan shares insight from a self-made millionaire, Andy, whose net worth is over $2.5 million. Listen to his thoughts on acceleration. Email us your retirement dreams or wins, halftime speeches, and Retire Inspired Send them to podcast@chrishogan360.com. You can also write a review of the Retire Inspired Podcast on iTunes and subscribe to future episodes. FINAL SPECIAL EVENT OFFER: If you’d like to see Chris Hogan at the Retire Inspired live event in San Antonio on May 6, you can get $10 off! Go to chrishogan360.com and click on “Events” to purchase your seat. At checkout, use the code HOGANPODCAST. The 401(k) is a tool for building your financial future, but many people have questions about it. So many people have emailed Hogan regarding the subject that we’ve dedicated an entire episode to take an in-depth look at the 401(k), 403(b), and other similar investing options. He also answers some of the most common questions asked about the topic. Also featured in this episode: Exclusive Backstage Access from a recent Retire Inspired Event; The Takeaway: Mountain Climbing; and a new Millionaire Moment. Professor Hogan also makes a cameo appearance and defines financial jargon and pop culture terms. Go to chrishogan360.com for articles about the 401(k) and other similar investing options. While on Hogan’s site, click on “Dream Team” and connect with a SmartVestor Pro who can answer your specific investing questions. Check out Chris Hogan’s book, Retire Inspired: It’s Not An Age; It’s a Financial Number. Both Chapter 5 and Chapter 6 address the topic of investing. Hogan answers a question about spouses and home repairs (@21:22). Hogan and a SmartVestor Pro answer a question about investing options (@23:59). Hogan and a SmartVestor Pro answer a question about investing 15% and the Roth 401(k) (@27:07). Hogan answers a question about mortgage payments and investing amounts (@29:14). If you want to see Hogan live, we’re offering $10 off his events in April and May. Go to “events” on the menu bar at chrishogan360.com and use the code HOGANPODCAST at checkout. Professor Hogan breaks down and defines more of those ten-dollar financial terms that seem like a bunch of gobbledygook. Hogan shares insight from a self-made millionaire, Carolyn, whose net worth is over $1.3 million. She proves that living like no one else now is worth it in the long run. If you subscribe to this podcast, you are looking to retire inspired. But what about your parents? If they aren’t on solid financial ground, you may be able to help them. Hogan gives you several guidelines for helping your parents with their money. Other features include “Andy’s Story” (an attendee at a recent Retire Inspired event), The Takeaway, and The Millionaire Moment. “81% of Americans don’t know how much they need to retire.” (cnbc.com/2017/02/15/80-of-americans-dont-know-how-much-they-need-to-retire). Can you afford to help them financially? Is the financial help you are providing for something fun, or is it taking care of your parents’ fundamental needs? Is the financial help a loan or a gift? Are your parents also willing to help themselves financially? Make sure your parents understand the clear path to progress. If you want to help your parents financially, you and your spouse need to be in agreement 100%. If you do help your parents financially, point them to additional help and proper resources. Because of the way he lives, Andy is a 22-year-old who is writing his own retirement success story. No one is doing it for him. At a recent Retire Inspired Live event, he told us about his determination. Listen, learn and apply it to your situation! A listener thanks Chris for his “Big Pop” story and shares her own personal battle cry (Big Pop story- Episode #7: @14:02, Battle Cry- Episode #7: @29:11). A listener shares her R:IQ experience and Hogan responds by talking about leaving a legacy. Hogan shares the story of a self-made millionaire, Mike, from the state of Washington, whose net worth is over $1.2 million. Mike’s mentality is inspiring! Don’t forget our gift: A MILLION STRONG (VIP ANTHEM). You can avoid making rookie mistakes! Chris Hogan shares several ways you can on your road to retirement. He also introduces a new segment called the Millionaire Moment, in which he talks with everyday millionaires about the steps they took to reach this milestone. Also in this episode, you’ll get exclusive backstage access to one of Hogan’s Retire Inspired events as Hogan and a SmartVestor Pro answer questions from the audience. Other features include The Takeaway and the Hear from the People segment. For a special event discount, go to chrishogan360.com and choose Retire Inspired Event. Use the code HOGANPODCAST at checkout for $10 off. Don’t forget our musical anthem gift: A MILLION STRONG (VIP ANTHEM). Hogan answers a question about paying off a mortgage (@20:32). A SmartVestor Pro answers a question about finding the right advisor (@22:15). Hogan answers a question about refinancing a home (@25:53). A listener wants information about investing going forward. A listener asks a question about the R:IQ tool. This new segment focuses on the mindset and mentality of self-made millionaires. In this episode, Hogan shares a conversation with Paul, from TN, whose net worth tops $1.3 million. All of us are impacted by real estate. Hogan walks you through some vital information in a 4-part special on: The Right Agent, The Right Price, The Right Listing, and The Right Offer. Rejoin our regular episodes March 1, 2017 and listen to Hogan discuss Rookie Mistakes! This episode focuses on avoiding future money mistakes by addressing four things you must know about retirement. As a bonus, Hogan gives you a step-by-step process for overcoming past mistakes. Also in this episode, you’ll gain exclusive access into the VIP Backstage Experience at one of the Retired Inspired live events. You’ll hear Hogan and a SmartVestor Pro answer questions from the crowd—the same kind of questions you might have. Other features include Hogan’s Takeaway and the Hear from the People segment, during which Hogan responds to emails about self-made millionaires, goals, and your R:IQ. Know your retirement dream. This is your starting point, so give it deep thought. Know your R:IQ. How much will you need to live your dream retirement? Go to chrishogan360.com/riq to find out. Know your next steps. From budgeting to getting out of debt and beyond, follow the Baby Steps (outlined in Chris Hogan’s Retire Inspired book). Know where to go for help. Get with a professional who can answer your retirement and investing questions. Go to Hogan’s website at chrishogan360.com/dreamteam. Hogan has some special announcements. We want to hear from you! Send us an email today at podcast@chrishogan360.com. Listen to highlights from the VIP Backstage experience at one of the Retired Inspired live events. Hogan and a SmartVestor Pro answer questions on investing and retirement. Hogan answers a question about when to start investing to reach $1 million net worth (@19:29). Hogan answers a question about talking to parents about retirement (@26:12). See the mistake. What could you do different? Understand the mistake. Why did it happen and what did it cost you? Own the mistake. Don’t blame outside factors or somebody else. Forgive yourself. Don’t hold it against yourself, but remember it to avoid similar mistakes in the future. Let it go . . . mostly! Put some dollar amount safeguards in place. A woman has questions about her R:IQ (@43:34). Do you want to avoid the financial hangover of the holidays? While you’re shopping, Hogan has a plan for you: Seven Tips to Avoid the Christmas Hangover. Other features include a Christmas Top Ten List from Ho-Ho-Hogan, the 3-point-takeaway, event highlights, as well as a special cameo from Professor Hogan. He’s here to breakdown the ten dollar financial words that VIPs want defined. MAKE A LIST– Plan who and what makes your list before you’re in the store. SET A BUDGET – Planned spending limits. That includes your kids and significant others! A CASH CHRISTMAS – You’re going to spend, just do it with cash. It’s about control. THE ENEMY IS LURKING – Don’t let your guard down. Credit temptation is at every turn. KEEP A RUNNING TALLY OF SPENDING – Awareness. Know what’s spent, what’s left. THINK OUTSIDE THE GIFT BOX – Get creative. Be honest about spending limitations. GET CREATIVE WITH GIFTS FOR KIDS – Meaningful and specific beats dollar amount. Email us- podcast@chrishogan360.com. Send us your very own halftime speeches you want Coach Hogan to say back to you on the podcast. Also, send in your retirement poems that you want Hogan the poet to share with you (beanie and jazz music already included). Don’t forget about Hogan’s Christmas Bundle. Go to chrishogan360.com and get 56% off an amazing product bundle for the holidays. While you navigate through the holiday hustle and bustle, what exactly are you doing while listening to this episode? Hogan has some ideas. Don’t think he doesn’t know that you’re jogging right now with your ear buds in just so you can have that second piece of pie! Hogan’s podcast producer shares a couple highlights from attendees just like you who are winning. A 60-year-old single female is being resourced. Though she has $250k in her 401k, she is watching her emergency fund dwindle and wants advice for how to stay calm. A 32-year-old man is now into Baby Step 4-6. He has an R:IQ question because of his health. Go to chrishogan360.com to discover your R:IQ. While you’re there, click “Dream Team.” Then connect with SmartVestor Pros for investing help and ELPs for real estate, insurance and tax services.